Steampunk Sega Master System II #Sega #VintageComputing #ClassicConsoles « Adafruit Industries – Makers, hackers, artists, designers and engineers! Franklin Vanseizenberg is a Steampunk artist known for some fabulous designs. 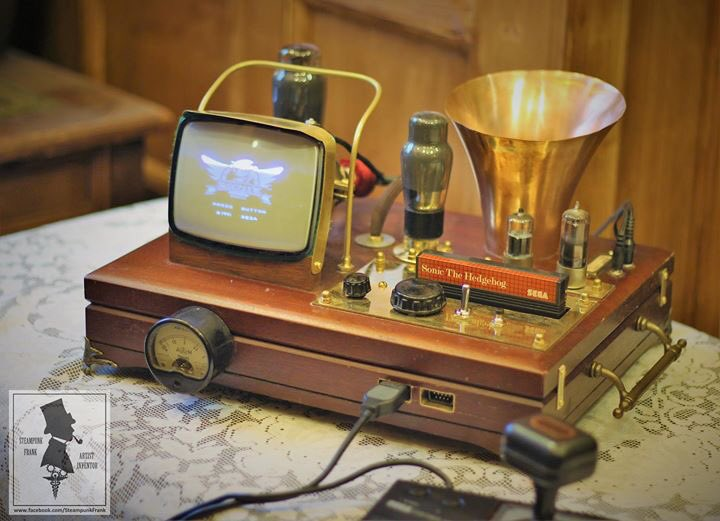 A recent build is shown above – a Steampunk Sega Master system II! It’s all there: game ports, speaker, cart slot and a small CRT to play on. Folks seem to complain the picture may be too small but it definitely has a last century feel. See the video below for the system in action and there are more pictures on Facebook.